Algona, Iowa – Corn is so important in Iowa that the Algona municipal airport’s runway is bordered by it! I guess every piece of arable land is being used! Yes, you read it correctly! 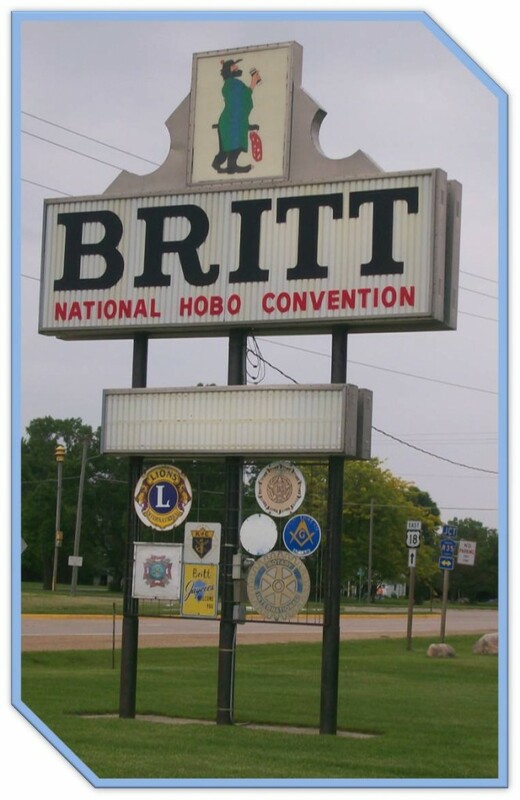 Britt, Iowa is home to the national hobo convention, which is being held this summer from August 6-9. For more information and to find out who a hobo really is check out their website: Britt, Iowa. 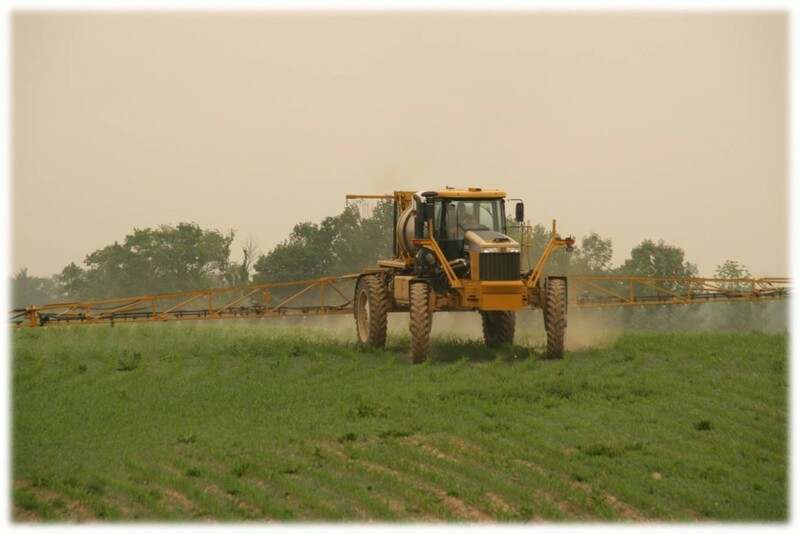 I spent a half a day last week tagging along with two of MaxYield’s custom applicators as they sprayed soybeans. The first tractor I rode along in was AgChem’s RoGator. The picture below isn’t the actual tractor, but it is very similar. This particular RoGator was not the newest machine by any stretch of the imagination. Although it did have the comforts of an air conditioned cab, radio, and straight line gps guidance. The guidance works by using a light bar which is mounted on the top of the hood, out in front of the tractor. This light bar simply lets you set a point A and point B so you can drive in a straight line relative to that first pass. It tells you how many feet left or right you need to go to stay in the middle of where you are spraying. This enables the applicator to keep straights lines across the field; improving efficiency and reducing overlap spraying. These applicators, depending on weather of course, can put in 17 hour days spraying fields during different times of the year. After riding in the RoGator I moved to the John Deere you see below. This machine was a dramatic improvement from the first. It was much smother across the field, and best of all — it had auto-steering. After just a few trips through the field and across the headlands the tractor would automatically steer as you drove across the field. The applicator simply has to turn the tractor back around when he gets to the end of the rows and get in within somewhere around 20 feet heading back down field. Then the tractor guidance systems automatically kicks in and steers it right back where it needs to be and then keeps this path across the field. Although this can make it very difficult to stay awake in the bright sun, after a full stomach from dinner, most applicators agree that at the end of the day they are dramatically less stressed and worn out; allowing them to be safer and more alert on the job. This last week the four other interns and I, who I will briefly introduce in a moment, went on two different facility tours. On Thursday we visited Global Ethanol, an ethanol plant located near Lakota, Iowa, and the next day we visited AGCO, an agricultural equipment company located in Jackson, Minnesota. On the tractor, top left, is Kyle Frerichs. Kyle will be a senior at Iowa State University next year and is a SciMax Intern (MaxYield’s precision ag program). Also on the tractor, to the right of Kyle, is Mercedes Dittrich. Mercedes is going to be a sophomore at South Dakota State University this fall, and is doing a shared internship with both MaxYield’s SciMax program and Premiere Crop. Next to me, ground left, is Emily Schwaller. Emily also goes to SDSU and is a MaxYield 101 Intern, which means she gets involved in a little bit of everything MaxYield has to offer. Finally, to the right of me (ground, far right), is Josh Bringleson. Josh will be a senior at Iowa State University and is a Seed/Technology Sales Intern. At Global Ethanol we received an amazingly thorough tour of how an ethanol plant works – from where the grain goes in and ever step it takes to not only be turned into ethanol and loaded into a truck or rail tank, but also the other products which are a result of the process such as Distillers Dried Grains with Solubles (DDGS). At times it was loud and difficult to hear everything our tour guide was saying, but needless to say even if I heard everything, I would need to wipe to cobwebs of my chemistry book to fully understand the entire process. Fortunately, Global Ethanol’s Website explains how ethanol is made so I don’t need to get into the details. With that said, it was a very interesting tour. This particular plant has been running since November 2002 and operates every minute of every day of the year; of course there are shut downs due to unforeseen problems from time to time. 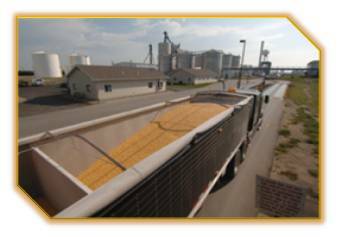 At the plant there is also a MaxYield office which deals with all the trucks coming into and out of the plant as well as all grain operations. 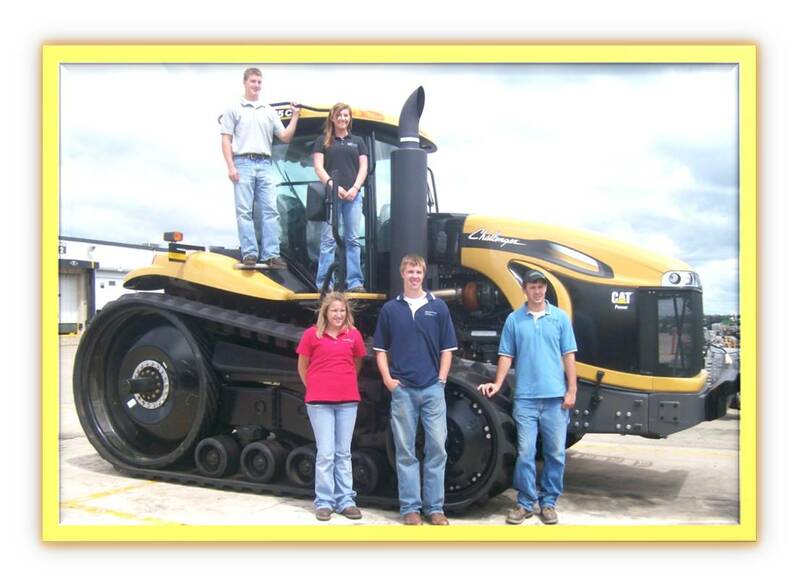 They aren’t green, but if you’ve ever had a love for agricultural equipment, you would enjoy a trip to AGCO. The AGCO Jackson Operations location has built numerous agricultural equipment, and mostly focuses on Terra Gators and CAT Challenger tractors. On our visit the main plant manufacturing facility assembly line, which builds equipment like the Terra Gator, was shut down for reorganization and improvement. There were still many employees in the welding and fabrication departments working diligently, but nothing was heading down the main production line. We received a tour through the entire main plant facility, viewing everything from where leaks are checked for using antifreeze at the end of assembly, to human and robotic welding, where raw materials are cut by lasers and where parts are clean, primed and painted. Across an outdoor storage area is the Challenger Assembly building. This is where the “most powerful mass produced tractor in the world†” is produced. This assembly building contains two assembly lines where the tractor itself, as it heads down the line starts at one end, takes a 180° turn, and is finished when it gets back next to where it started. After each tractor is checked over the make sure all components run correctly there is an onsite outdoor track and indoor test area so each unit can be quality tested. † The Challenger holds the world record for acres planted by planting 1,413 acres of spring barely in one 24-hour period. So my job hasn’t been all fun and games this summer … I’ve spent my fair share of time putting up seed signs; the worst part – pounding the posts into the ground. Seed signs are simply a plastic sign which displays the brand of seed and also lists the particular hybrid planted. We put these signs up in our “knowledge plots,” some of our small seed plots, as well as along client’s fields which neighbor a blacktop road. In our seed plots it is a simple way to compare varieties when we give plot tours. It is interesting to see, even from the road when you drive by, the variations in growth stage and color between varieties. When we sign a client’s field on a blacktop road we add a small MaxYield sign below the seed sign to let those driving by know that this particular field belongs to a MaxYield client. It’s also a nice way to get the MaxYield name out for people to see. I have spent a few days this summer putting in 100+ signs and posts each day. On Thursday last week, with the help of a few others, we put up almost 180 signs in a Croplan Answer Plot (which is what you see in the pictures below). 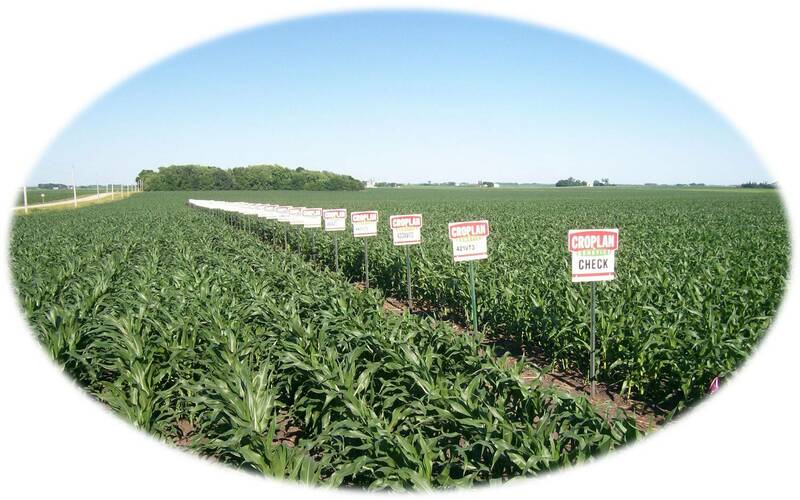 Croplan has Answer Plots located all throughout the United States. Iowa has more of these plots than any other state and because we have offered a site within our territory we help maintain it and have an opportunity to take our clients out to it at any time. Of course, on the brightside – I’m sure my basketball coaches would be happy to know I’m not just sitting at a desk all day munching on potato chips! WHERE AM I?? Oh ya … Iowa. Each season MaxYield has numerous seed plots located throughout their trade region. Many are simply trials of different hybrids planted in different farmer’s fields that are willing to help, but we also have two large “Knowledge Plots.” These plots include many different trials for both corn and soybeans including plant population trials, yield trials for different hybrids for corn on corn and soybean on corn stalks, as well as many different management strategies done by the SciMax Solutions team. SciMax uses the newest scientific principles to maximize the return on investment for the farmer. This mainly focuses on precision ag innovations and using them to maximize the pool of information farmers have like yield data, soil grid sampling and variety placement data. They provide solutions such as variable rate planting, foliar applications of nutrients (92% of MaxYield’s tissue tests show deficient levels of zinc! 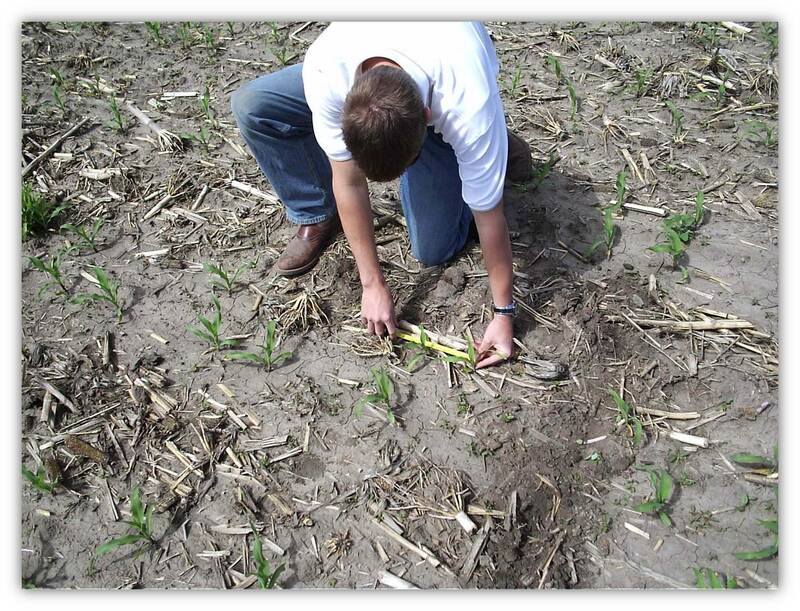 ), soil sampling and nitrogen management. Three different times during the growing season we have plot tours, where supper is provided and our solutions specialists walk growers through the field highlighting topics that seem most important so far in the year, and what each farmer should be looking for in his or her own fields. We have already had one tour for both of the large plots this season and have seen some interesting stuff. As I mentioned before 92% of our tissue tests show deficient levels of zinc in our early corn plants, boron is actually our most deficient nutrient, which is inadequate in 95% of our tests! Knowing when these micronutrients are needed by the plant is most important. Croplan has already decided that next season all of their corn seed is going to be treated with zinc; you will not be able to get untreated corn. Zinc is important early in plant growth and we have been seeing difference in our fields between our non-treated and zinc-treated varieties. 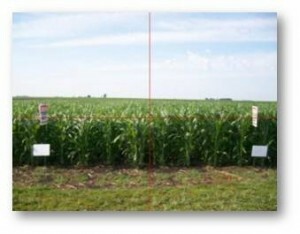 The picture below isn’t the best quality, but both hybrids are Croplan 4801VT3, on the left (to the left of the sign and the four rows on the right of it, up to the red line) is the non-treated corn and the zinc-treated corn is on the right (from the verticle red line to the far right). We can see an noticeable height difference, which we have been seeing throughout the lifecycle so far, just because there was simply a little bit of zinc next to the seed when it started to grow. From previous Answer Plots Croplan has seen a 7-11 bushel increase in yield due to zinc treatment, this boost is why they decided it was a “no-brainer” to treat all of their seed with zinc. Of course this is just one of many, many topics discussed at our knowledge plots, I thought I’d spare you the information on corn nematode or soybean aphids! 🙂 For more on Croplan’s zinc coating visit: ADVANCE COATING ZINC ADDING VALUE TO CROPLAN GENETICS® SEED CORN IN 2009. Farmers ask a lot out of their planter, and even minor planter wear can cause seed depth and distance placement variability to increase; potentially impacting yield (1). By counting space between corn plants in a row, we can determine how consistent the planter is at placing a seed into the ground. Knowing this, we can determine plant population and how many bushels may be lost in each row due to inconsistent seed placement. Of course, it is much easier said than done. Going out to the field and gathering the data to get started can often end up being quite an investigation. When you get to the field, first you have to determine which direction the farmer was planting in order to accurately determine which row in the field corresponds with the specific row unit on the planter. To do this you, must look for clues like tire tracks (which can be tricky when there are multiple tracks through the field; like from a sprayer). Often where the rows meet the headlands, you can tell when the farmer pulled the planter unit up and sat it back down. Usually the planter gets put down slightly earlier on the way into the field than out. Next, it is important to get to a spot in the field that will generally be a sufficient sample of the entire field. Some university studies recommend gathering data from two different locations in the field to get a good sample, but we have found that generally one sample is good enough if you are not picking the best or worst-looking-spot in the field. By measuring the space between 20 plants in each row of the planter, (which yes, this means a lot more work when the farmer has a 32 row planter rather than a 12 row planter) we can calculate standard deviation, plant population, average plant spacing, and bushels lost. Studies have determined that two standard deviations from the mean is the best a farmer can expect to get. This often has to do with the fact that germination rate is never going to be 100 percent, but rather 90-95 percent. So if the average plant spacing is 7 inches, any plant spacing of 5 to 9 inches means that we can account for zero bushels lost. When you go over two standard deviations, studies show between 2.5 and 4.5 bushels lost for every additional inch. We calculate 4 bushels lost for every additional inch over two standard deviations. After entering all the data into a spreadsheet, each producer can see which rows on their planter have the most variance in plant spacing and how many bushels it may be costing them. If a certain row is significantly high, resulting in a high yield loss, it may be necessary to go back to the field and check again. If upon a second examination of the row, the specific row on the planter may need to be looked at for mechanical error. Not only does the producer get to see the results of their planter, but the farmer can compare them to the results of other anonymous producers’ planters done throughout previous years. Planters are also organized by make, for easy comparison between brands. If you are a John Deer person, you would be happy to know those are the planters that have generally been our top performers. We do planter analyses generally for new seed customers, clients with new planters, or for those who might be considering buying a new one, and also prospective clients. Every farmer I have shown our results to enjoys seeing how they compare to others, and is grateful that we do this, because after all, MaxYield prides itself on being a solutions provider, not just a provider of stuff. If you are interested, I’ve also attached a couple of links to university articles dealing with the subject. Yes, I have landed a summer internship with MaxYield Cooperative this summer… what, you are not from northern Iowa and do not know who MaxYield is? Well before I start blogging for the summer, let’s get you caught up on who MaxYield is, what they do, and where I fit into the mix. Agricultural cooperatives were first formed because the founders understood that the power and strength of many producers doing business together was greater than doing business alone. 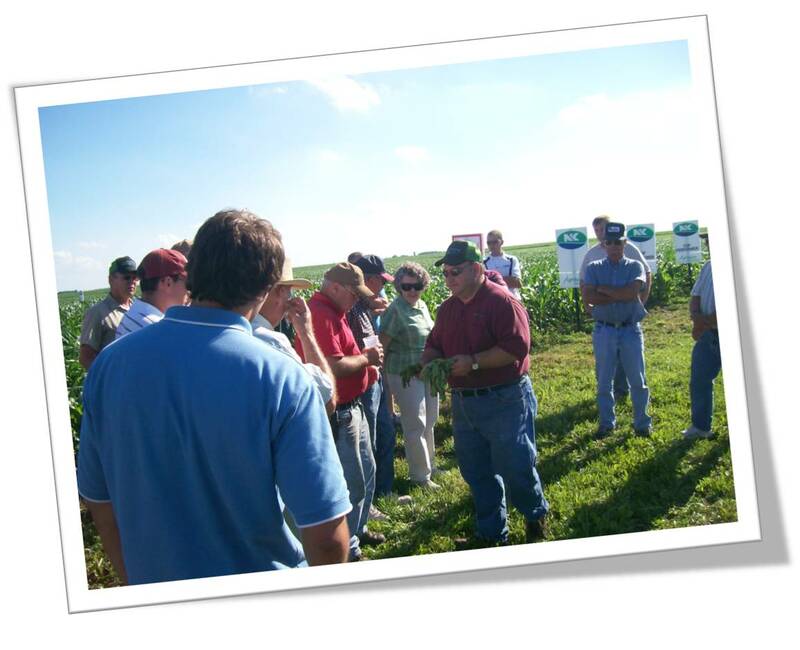 MaxYield is an Agricultural Cooperative, headquartered in West Bend, Iowa (See Google Map Here! 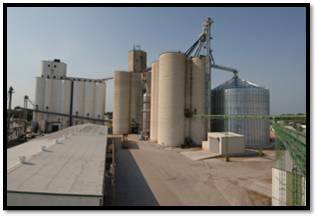 ), and has 18 total facilities located across north central Iowa. MaxYield’s vision is: We see more in your fields. What this means is that MaxYield Cooperative prides itself on being more than just a provider of stuff; rather MaxYield is a solutions provider. They provide solutions for many different agricultural areas including grain, agronomy, energy, and feed. My mentor for the summer is Greg Sweeney, East Area Seed Solutions Specialist. My seed & agronomy internship falls within the agronomy aspects of MaxYield Cooperative; which includes, but is in no way limited to, crop scouting, selling seed, seed treatment, and seed plots. Of course, hopefully by the end of the summer I get to dip my hand into every aspect of MaxYield’s business. More on all of this to come!